I wrote this short paper recently for a grad class in learning theory. I hope it’s useful to those seeking information about the importance of learning theory for educational leaders. Learning standards and theorists such as Carol Dweck and James Comer are discussed. At first glance, it appears that the Interstate School Leaders Licensure Consortium (ISLLC) and Connecticut (CT) leadership standards are very similar. However, they emphasize different qualities in a leader. By promoting some qualities as main standards and others as skills, dispositions, or performances, each organization is able to shift a leader’s focus in different ways. Both documents share the values needed by successful leaders. There are a few key differences in the documents, however. Most salient is that CT has a strong preference for leaders that can set and meet goals. The standards document lists the word “goals” 41 times to the ISLLC’s 14. Setting goals and measuring progress toward achievement is clearly a priority for administrators in this state, as is also evidenced by the School Goals standard. This is probably because of the pressures of No Child Left Behind (NCLB), Race to the Top, and the Smarter Balanced Assessment Consortium (SBAC) test. States must consider goals and goal setting due to accountability measures that interstate consortiums need not concern themselves. Given the importance of goal setting for motivation and self-regulation at the leadership level, it seems that students are not encouraged to participate in all this as well as they should. Understanding learning theories and the frameworks for these two essential student skills is crucial for school leaders. Much of what teachers, and leaders, need to learn and to put into practice in their school centers is attribution theory. As described in Shunk (2012), attribution theory should play a greater part in our schools. It seems to underpin the other theories of student motivation and self-regulation. On page 358, when discussing Posttask’s work, Shunk explains, “Students who believe that they are progressing toward their learning goals and who make positive attributions for success are apt to sustain their self-efficacy for learning, outcome expectations, perceived value, and positive emotional climate.” Neither adequate behavioral modifications, worthwhile metacognition, nor meaningful social learning connections can be made without the foundation laid by positive attributions. Dweck’s work on attributional change programs (Shunk, 2006, p. 393) underscores the importance of getting students to see the positive and negative consequences of their thoughts and actions. Goal-setting is important, but students must achieve the proper mindset to make any progress. Educational leaders hoping to emphasize attributional theory to a greater degree and use it to scaffold the teaching of students and teachers about effective goal-setting should take heed. In Mindset, Dweck (2006) outlines how to praise students for their effort rather than for their talents. She also argues that teachers and educational leaders must always maintain a positive outlook that will ensure students can grow to their full potential. Student, teacher, administrator, department, and district goals must take Dweck’s work into account in order to promote equity in schools and to succeed in meeting the needs of all students. Lastly, vision is appropriately described in both sets of standards. Without introspection, clearly stated goals, and community involvement, people will be disenfranchised at some point and will abandon the vision—in this case, the shared interest in goal setting, positive attribution, and growth mindset. If educational leaders do not take the time to align learning theories with a plan of action, they will not follow through with a vision. If goals are not set, then the vision will be rendered impotent. Also, if teachers, students, parents, and the greater community are not allowed to share in the vision, they will abandon it no matter how well implemented (Blankstein 2012). Comer’s (2010) successful work in helping schools, families, and communities align to address the needs of the whole child are also worth noting. Standards on vision are really the heart of both the ISLLC and the CT documents, as well they should be. Therefore, the impetus for putting learning theories into practice is the job of educational leaders, while the implementation is the right and duty of all stakeholders. Blankstein, A.M. (2012). Failure is not an option: 6 principles that advance student achievement in highly effective schools. California: Corwin. Interstate school leaders licensure consortium: Standards for school leaders. (1996). Washington, D.C.: Council of Chief State School Officers. Schunk, D. H. (2012). 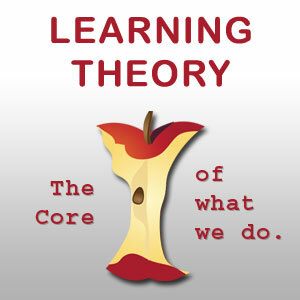 Learning theories: An educational perspective. Boston: Pearson.